Racinos are horse or greyhound race tracks which have casinos. In some cases, the casino games are limited to slot machines or video lottery terminals (VLTs) only. However, many locations are beginning to include table games such as blackjack, poker, and roulette. Eleven US states have already approved the operation of racinos. These states are enjoying the benefits of enhanced state tax revenues, a stronger horse and agriculture industry, and the creation of new jobs and investment. In December 1998, the Ontario Lottery and Gaming Corporation (OLGC) opened Ontario's first slot machine facility at Windsor Raceway. OLGC now operates 16 slot machine facilities at racetracks all over Ontario. In 1990, West Virginia pioneered the racino concept when MTR Gaming Group was allowed to introduce video lottery terminals (VLTs) to Mountaineer Race Track and Gaming Resort in Chester. In 1994, Iowa voters authorized reel spinning slot machines at Iowa horse and greyhound race tracks. Polk County, the owner of the brand new but bankrupt horse track, Prairie Meadows, spent $26 million to convert track's clubhouse into a casino and installed 1,100 slot machines. The racino opened for business on April 1, 1995. With Prairie Meadows, the racino concept came of age. The rapid transformation of a struggling Iowa horse track into a highly profitable horse racing/slot gaming business was the defining moment in the marriage of pari-mutuel betting and machine gaming. From 1995 to 1997, Iowa became America's fastest-growing thoroughbred breeding state, jumping from 28th to 12th nationally in total foals bred. The annual spending for the care and maintenance of horses increased from $41 million in 1995 to $97 million in 1999 according to Iowa State University. The creation of racinos led to a consolidation of ownership of race tracks, with Magna Entertainment Corporation and Churchill Downs Incorporated being the largest. 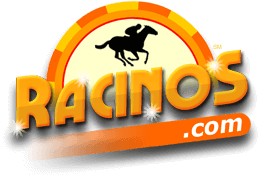 © 2005 - 2019 Racinos.com may link to third party websites and software, including additional promotional links. We do not endorse, and are NOT responsible or liable for any third party content, products, or services available from such websites. Online gambling may NOT be legal in your jurisdiction. Do NOT gamble online unless you have verified that it is legal for you to do so.